The insurance company TT Club estimated that every 60 days in the world at least one fire happens on a large vessel carrying containers. According to the insurer, it’s time to change something in the approach to the transport of potentially dangerous goods. The fires on container ships this year often hit the headlines of the world media. The 2019th has just begun – and now the fire on the Yantian Express, in early January. 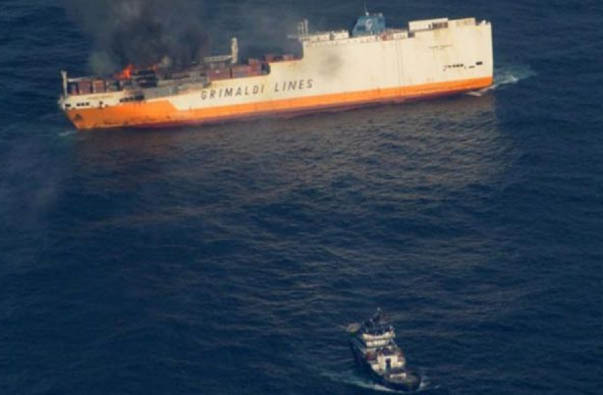 And just recently a fire broke out on Grande America – the ship went down. Meanwhile, these examples – only the tip of the iceberg, noted in the TT Club. This year, four very large fires have occurred, directly related to the nature of the cargo in the containers. How many fires were smaller, no one just thought. If we consider the whole chain of intermodal transportation, 66% of incidents involving damage to the cargo result from the practice of rather careless preparation of this very cargo for transportation. And we are talking here not only about purely mechanical processes, but also about cargo identification, what is stated in the declarations, about the efficiency of data transfer for the cargo. As a result, insurers receive extra expenses of about $ 500 million a year, they say with TT Club. One of the main causes of fires on container ships called deliberate indication of incorrect data in the declarations of dangerous goods – so that they do not look so dangerous. The reason for this practice is simple – money. If the cargo is considered dangerous, its transportation is much more expensive.